The transition of changing careers can be a challenge. It’s been a bit over two months since I sold my shares in Smiling Albino, the highly specialized travel company I moved to Thailand to help create way back in 1999 and I’ve been really enjoying the time off. It’s a shocking how fast time flies, but I’ve been busy and have only spent two days lazing about. 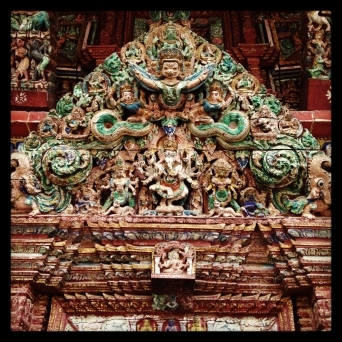 I spent March in Bangkok then went to Calgary, Canada, with my wife for four weeks. She was posted there for work and it was a treat to see my friends and spend time with her back in my old home. 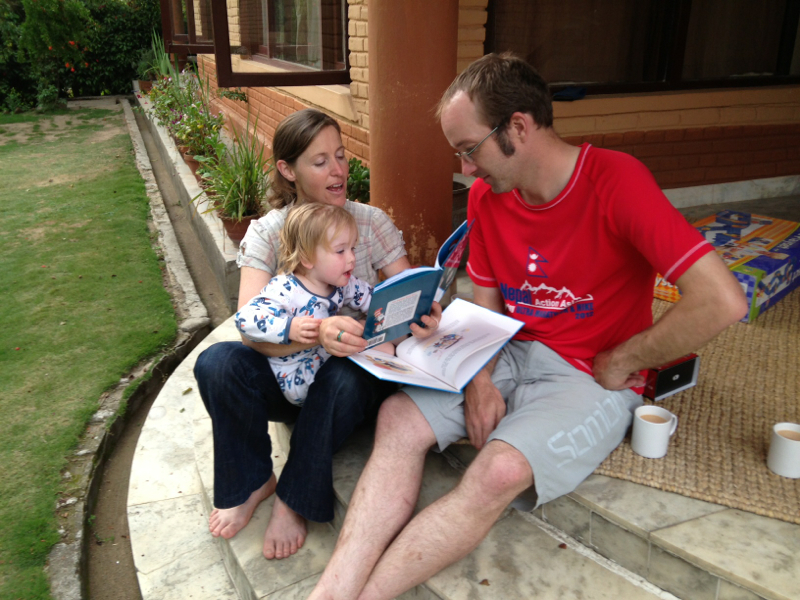 Now I find myself in Nepal, just outside of Kathmandu, at my friends’ house for the next three weeks. Mads, Clare and their almost two-year-old son Oskar live about 45 minutes outside of the city on a lovely piece of property on a mountainside in Shivapuri National Park. They’ve graciously opened their door to me and it’s a slice of peaceful heaven. I’ll be trying to post a short blog regularly while here, mostly for my own memories, will trace the things I see and experience, share getting back on a mountain bike (and hopefully in to shape) and beginning the process of analyzing who I am and figuring out how to best move forward. With an eye to starting to look for work in July for the first time as an adult, I’ll be looking back at my life, figuring out what my core skills are, what I like to do, don’t want to do, build a resume, personal website which will grow well beyond this current blog page and share elements of these processes. I’m not sure what this journey will be like but am confident I’ll come out of it a stronger person, ready to head down new roads. Thanks for reading and sharing! Yesterday I touched-down in Kathmandu on a Thai Airways flight at 12:30 and was all smiles to be back in Nepal. A driver was there to meet me, placed a flower garland around my neck and shuttled me to Mads and Clare’s office at Himalayan Trails, their very good travel company. We had a tasty Indian lunch, picked up a few grocery items then headed up the mountain to their home. Their property at Shivapuri Eco Resort is beyond cool and set amongst a traditional Tamang village. They have a very nice grass-covered lawn, trampoline, comfortable house and even an Internet connection. What more could one ask for?! 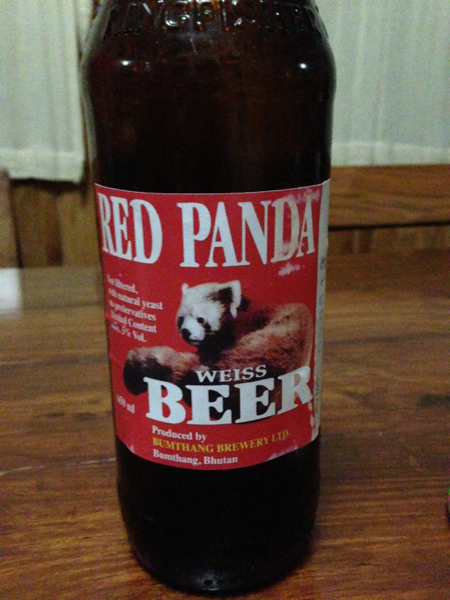 A couple drinks including a very tasty beer from Bhutan (Red Panda), nice meal and it was off to bed. This morning was early for me (6am) and Oskar was up for an early morning play. Mads then took Clare and I on a great warm-up mountain bike ride called ‘Heaven’ to get the legs spinning again. It was an out-and-back on mostly singletrack through some very nice forest, with rolling descents and relatively gentle climbs. I saw a barking deer, managed the climbs (slowly) and was back at home, showered and ready for the day all before noon. This afternoon will be spent writing, looking at templates for my new website and reading. What a life!